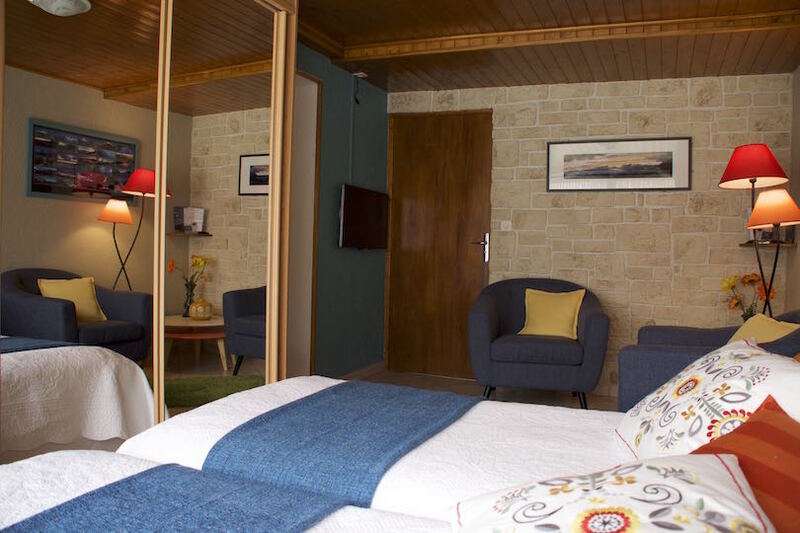 Spacious Double room with direct exit to a private terrace on south side of the Chalet. A large window lets generously lets in the light during the day and an electric shutter allows you to create some shade in the room for your siesta. There are two comfortable single beds (90x200, King size bed 180x200 upon demand) to rest quietly after a good meal at our Host’s Table and a day filled with new impressions. 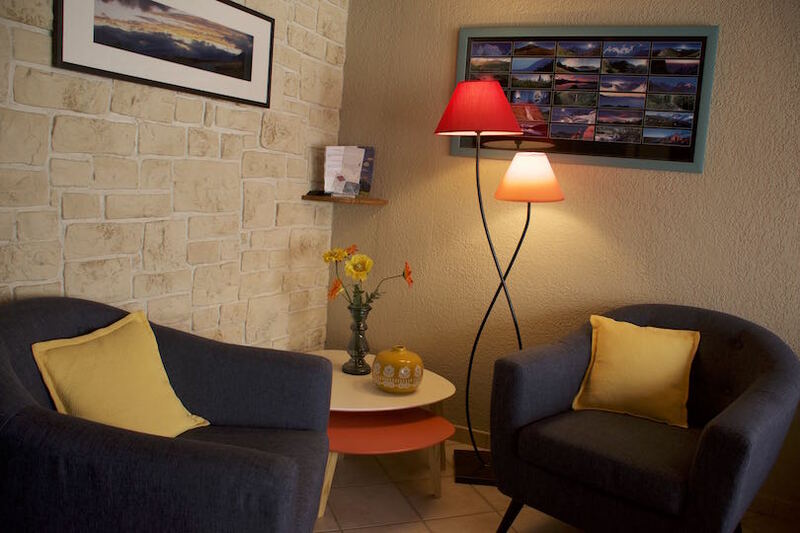 The room offers nice pictures of the Ecrins park to prepare before you get there out there for a beautiful hike in the countryside in the quiet and clean air. A seating area is available to relax. The en suite shower room with toilet is spacious and equipped with every comfort. 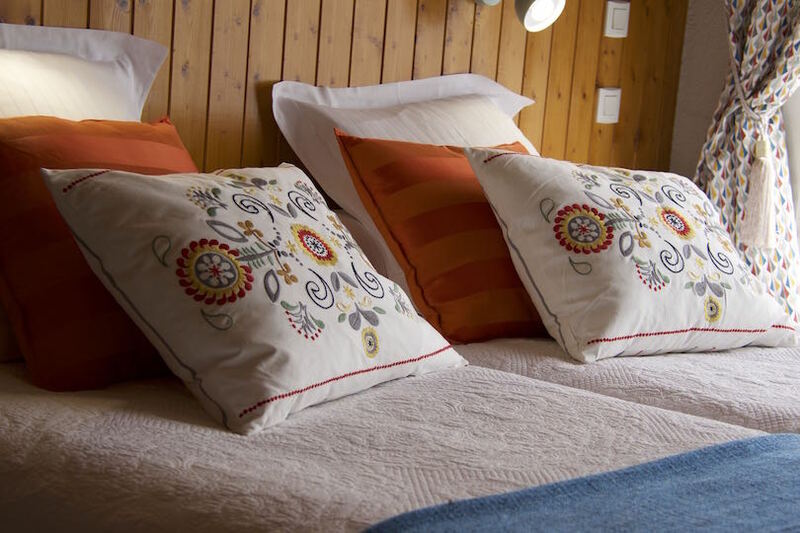 We can add an extra bed for a third person in this room (extra costs: 15€/day).